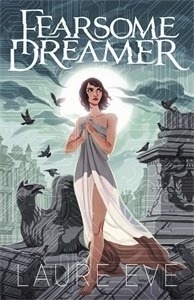 I thoroughly enjoyed reading this book and loved the mix between fantasy and dystopian that runs throughout it and found myself wanting to now more about the world and characters. I must admit at times I did find it a bit slow and I got to the end wishing I had book two to go straight into as by the end I really got quite invested in what was happening and where things were going. I think I really just liked how completely different it was to everything else I've read of late and would definitely recommend it.